The Boys’ Open and Junior Ladies’ Open. A busy first week. Every year, the Eden Clubhouse caters for the August Tournaments. 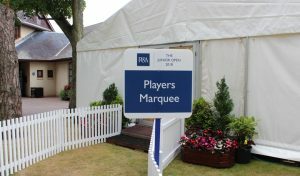 These are made up of the St Andrews Links Boys’ Open, Junior Ladies’ Open, Eden Tournament and Strathtyrum Tournament. It’s usually the busiest two weeks of the year for the Food & Beverage Department, but definitely the most enjoyable as we see lots of competitors return again and again – like seeing old friends! We prepare by hiring extra patio tables, chairs and plates as well as filling the cellar with as much alcohol and soft drinks as it can hold. Bananas are ordered every day for the 1st tee and over the course of a week we can go through as many as 500! 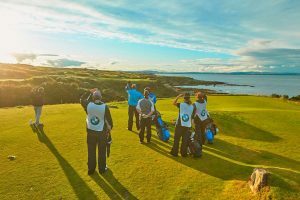 The Boys’ Open and the Junior Ladies’ Open are always the first tournaments to be played. 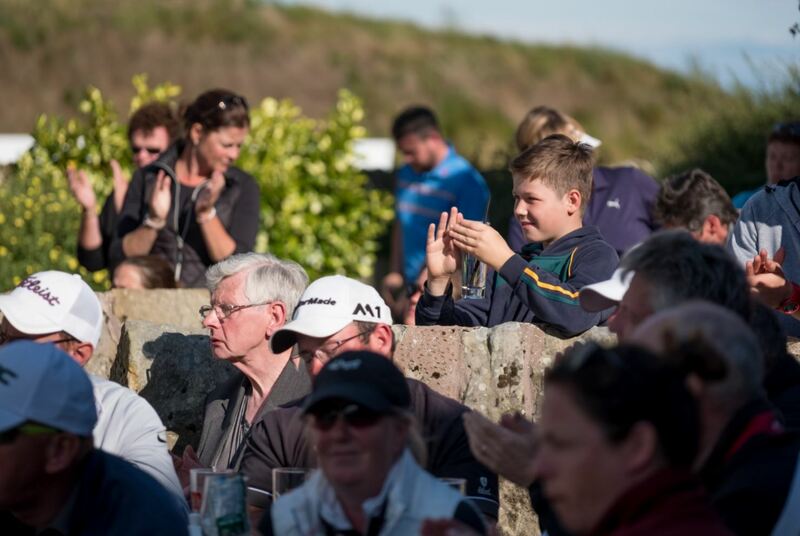 We cater for approximately 300 guests made up of the golfers and their supporting families. With the lounge itself only able to seat 44 guests, we make sure we have 34 tables outside running the length of the clubhouse. Every year we hope for favourable weather! 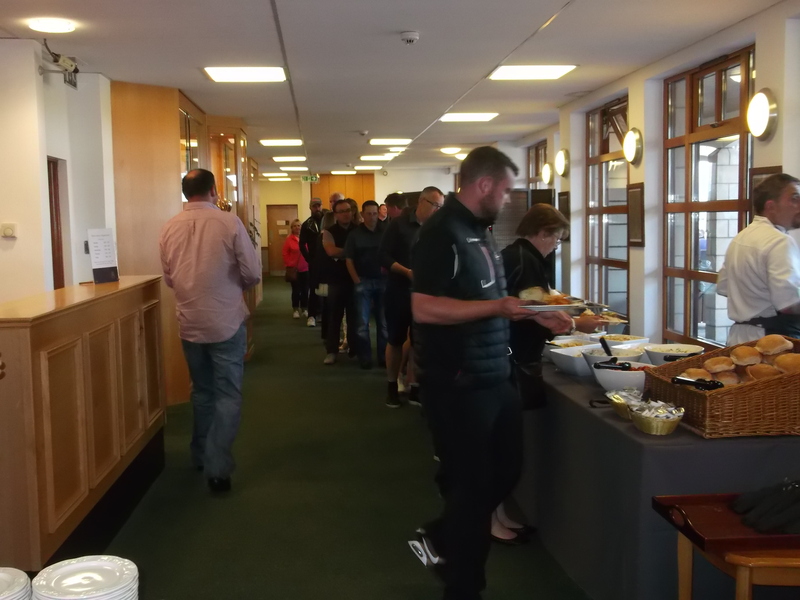 We also have a tuck shop stationed in the clubhouse foyer selling takeaway soup, sandwiches and the usual confectionery, soft drinks, teas and coffees. Although it’s August, the sea breeze can be quite chilling at times so the hot beverages are popular. Week two – the Eden and Strathtyrum Tournaments. Even busier still! Hundreds more bananas are on offer, but there are also hundreds of extra wine and pint glasses polished and ready for use (catering for the more adult audience). All the new staff are prepared on what to expect and how busy their day will be. 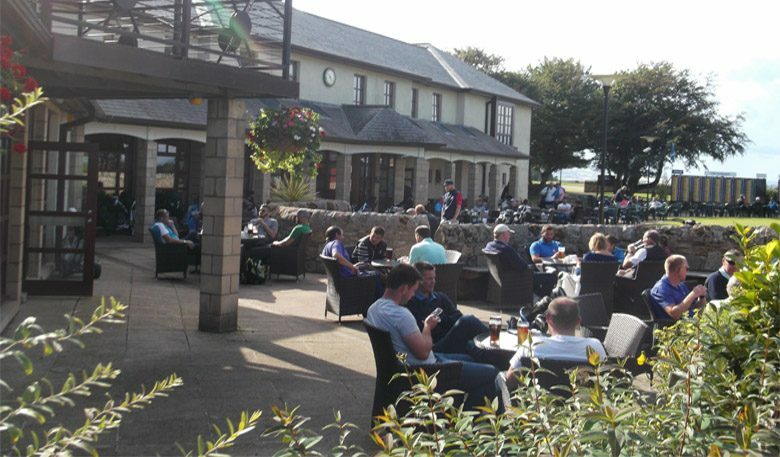 Before we know it, the lounge and patio area are all full with happy golfers enjoying drinks in the sun… when it appears. On the Tuesday of the second week it’s buffet time catering for 500 guests. Trestle tables in the foyer are set up, 500 each of main and dessert plates are unwrapped, cutlery set and stations cleared on the patio. At 5.30pm the buffet starts and the real work begins. 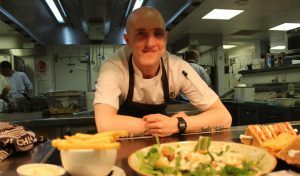 All the staff are given jobs to do whether it’s clearing tables, tending the bar or working the buffet. 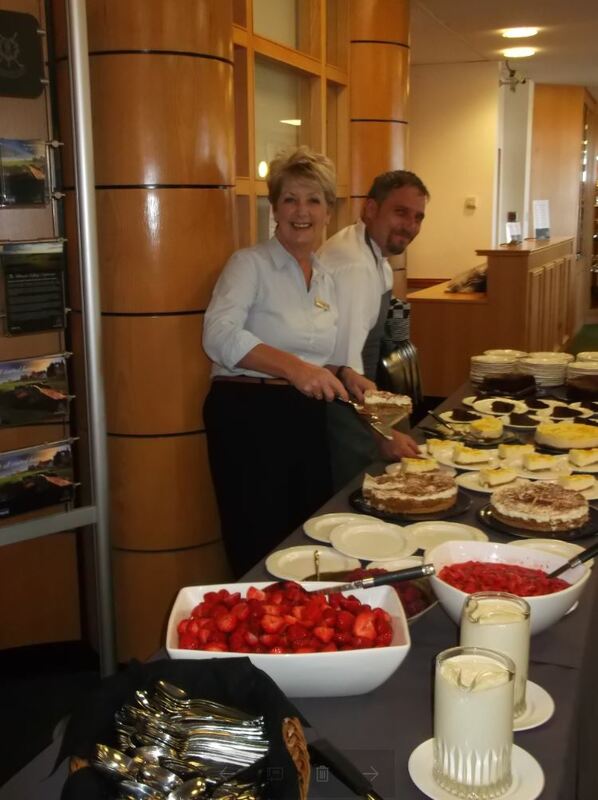 Our Food and Beverage Manager, Dorothy, always gets the job of ‘Pudding Princess’ dishing out the lemon cheesecake and other sweet delights. 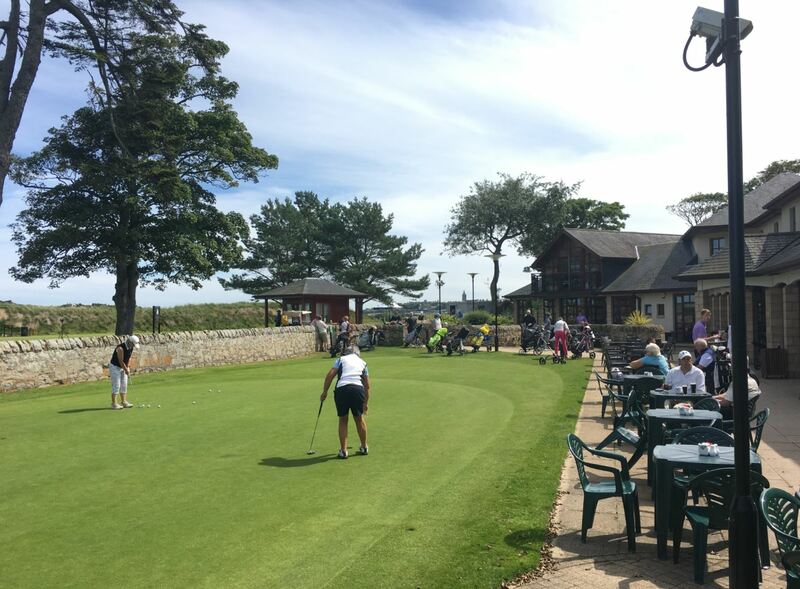 Those who work in the bar are kept busy pouring the drinks, restocking and changing the kegs as the tournament golfers are always very thirsty! 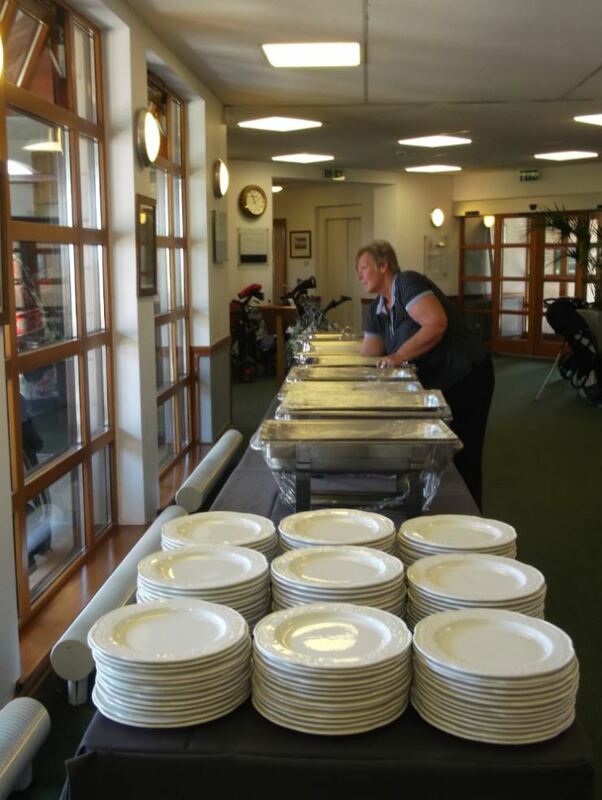 Before we know it, the buffet is over and everything has to be cleared away ready for the next day’s service. Friday evening comes around and the tournaments are over for another year. The staff all go home with good memories of a busy couple of weeks and plenty of laughs that were had. 2017 was another great edition AND the weather was kind to us. Goodbye August Tournaments for another year!